Every day and everywhere, China figures prominently in global attention: companies and banks weigh billions in investments; hedge fund managers assess and speculate on downside risks; commodity traders and natural resource producers salivate over China’s energy appetite; intelligence agencies carefully track China’s growing global footprint; militaries monitor China’s growing military capabilities; diplomats grapple with a new assertiveness in China’s diplomatic posture; scholars try to understand the shifting dynamics and sources of China’s behaviour; while journalists track the latest changes in China’s economy, polity, and society. 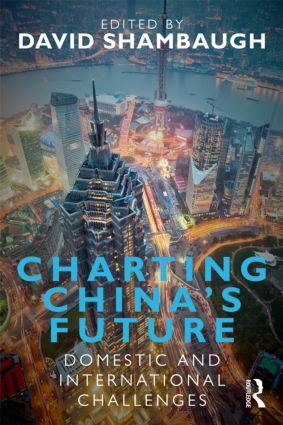 Charting China’s Future provides informed analysis on the complexities of today’s China, and where these complexities may lead, from some of the world’s leading Asia experts. The contributors have provided clear, intelligible, and forward-looking analyses, free of social science jargon and extensive footnotes. Probing into many of the key domestic and external issues facing China today from political, economic and social perspectives the book proffers a forward-looking analysis that will appeal to anyone with a professional, academic or personal interest in the big issues facing today's China and its interaction with the world. Readers will find much to contemplate about China’s future in this volume, and will gain a clearer sense of the key variables and possible trajectories of one of the most consequential countries on the planet. China’s Immediate Future: Stable or Unstable?